This really leaves us as gunowners in a very vulnerable situation heading into 2020. 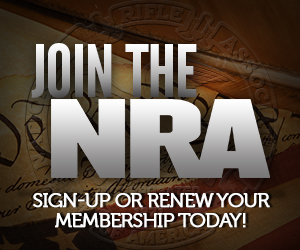 If I’m the NRA, I’d be reaching out to the other gun-rights groups out there to help coordinate grassroots efforts, because this dysfunctional fiasco is only helping Bloomberg and all of the other Sc**bag Democrat Party Billionaire Donors, whom of which, will be flooding their money into the 2019 and 2020 Elections. Good. Get rid of them, Wayne and Ollie North too. Make the NRA single issue again. Making the NRA single issue again was mentioned in a footnote on page 8 of the lawsuit. I posted the complaint to Scribd as it was behind the WSJ paywall. I’ve seen NRA ads which look like right-wing indoctrination videos and barely even mention guns. It’d be nice if the NRA could focus on firearms and leave all the other stuff alone. The NRA really started to shift gears to ride the coat-tails of the Tea Party movement in 2010. It had two relatively-positive effects: It galvanized an upgrade in marketing and media outreach, and it fired up the membership. Problem is, it also had an arguably negative effect: It linked the NRA with nearly every other right-wing issue during Obama’s second term. The hardline conservative faction of the organization isn’t getting any younger, and now entrenched leadership is dealing with a two-pronged attack coming from both the usual suspects on the left, as well as a lot of younger 2A types who don’t neccesarily fit into the conservative bucket. They are just as likely to bash Trump or any other Republican as they are the left. The NRA will need to decide how it wants to be seen by its membership over the coming decades. As a life member myself I’d prefer to see more of a single-issue stance with a strong outreach to all groups. I just dont think the kind of folks we have in leadership and on the board will get us there. Agree with this. Living in CA as I (currently, hopefully for not much longer) do, I know a lot of gun owners who are completely turned off by the NRA’s various forays into non-gun-related culture war issues. Are said gunowners minorities as well? No. Most are white. A few are Asian or Indian (typically second- or third-generation). They’re just left-leaning folks who own guns and enjoy shooting sports, and would be more amenable to the NRA’s messaging if it didn’t come larded up with extraneous social-conservative culture war crap. I just don’t see the NRA involvement in non-gun issues (other than various fundraising activities). What exactly are we talking about. I see coalition building with other organizations that are motivated by other issues. The NRA membership and board are often conservative activists of one stripe or another that are non-gun related (e.g. Grover Norquist). But the NRA as an organization, I don’t see doing this. So help me here. Exactly what are the complaints. Perhaps it is the TV stuff. I ignore all electronic media as I prefer the written word. The only thing I can think of that would fit my notion of this problem is the failure to endorse Harry Reid in 2010? from which many bad things flowed in spite of the NRA’s traditional pro-incumbent position and in spite of Reid at least being open to argument on gun issues. But the NRA leadership was set to endorse him and was deterred by a membership revolt. Richard, lately, the NRA’s media has been damning “Democrats” as a party, rather than singling out anti-gunners. This is very obvious. While, sadly enough, the donkey party deserves this due to being hugely anti-gun as a whole, this will make it very hard to actually recruit any pro-gun democrats if any actually exist somewhere anymore. We must have pro-gun democrats. Gun rights must be non-partisan if we are to succeed. There used to be pro-gun democrats (or at least sort of pro-gun). We need them back. Haven’t seen that. I see stuff about Socialists which may be what you’re talking about as it isn’t a big leap. Perhaps it is on the TV which I don’t watch but since the ad agency runs NRATV that would seem to indicate that NRA leadership agrees with you. Beyond that I am not sure that there are any pro-gun Democrats left. The NRA didn’t leave them either. I’m not sure which is the right faction, but I hope they win!